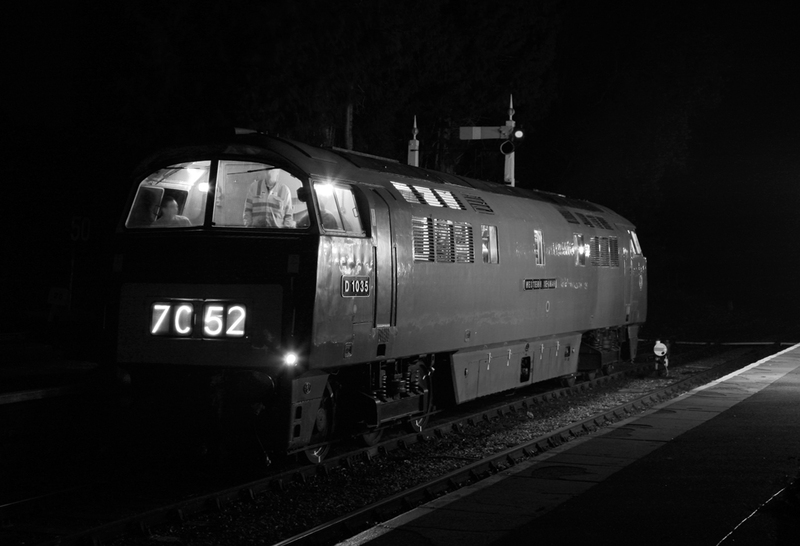 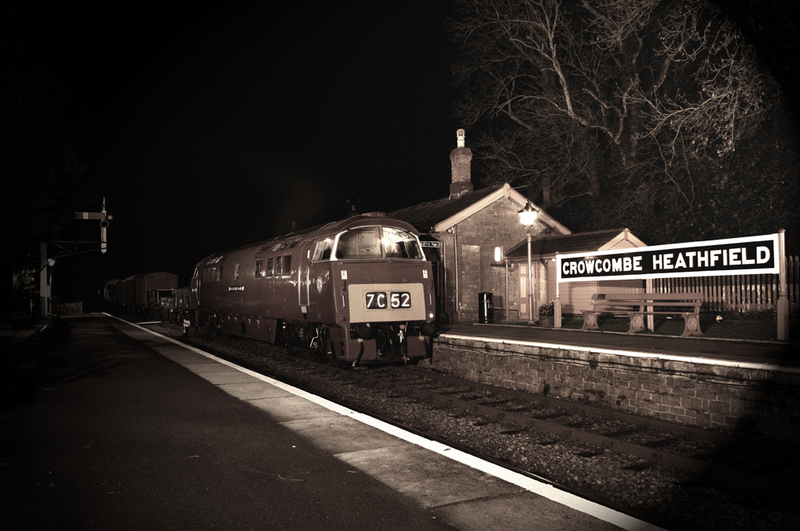 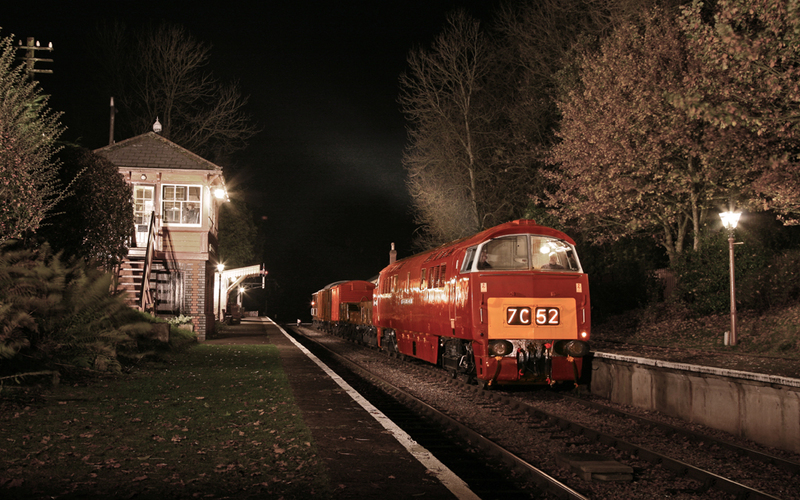 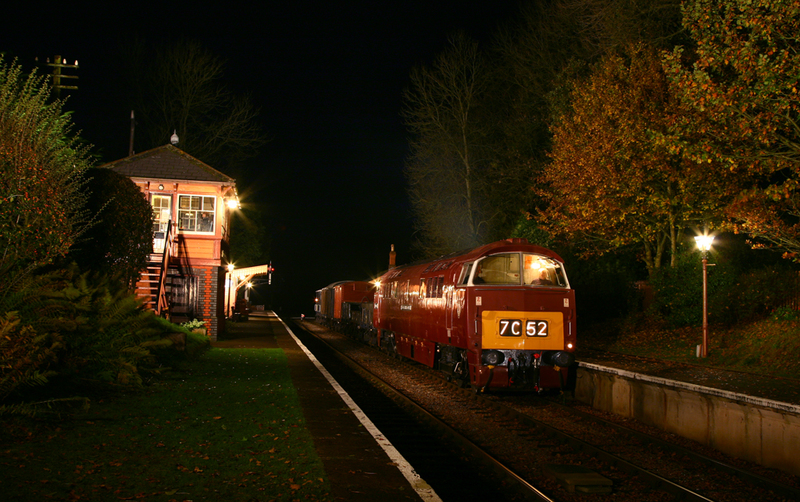 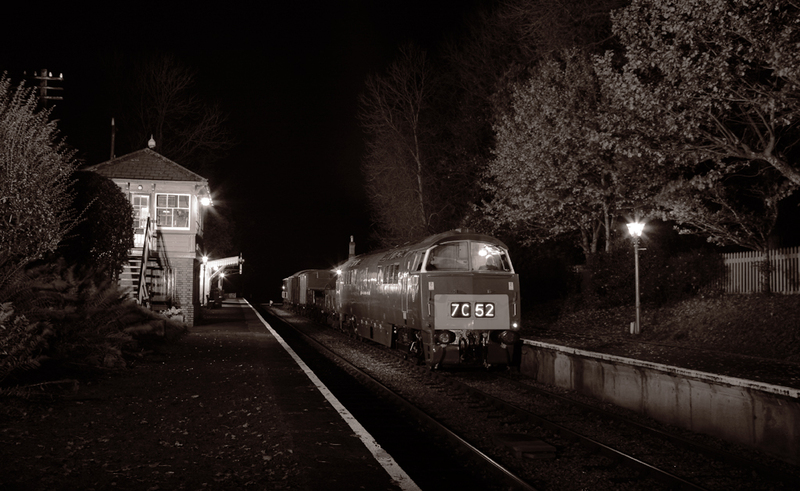 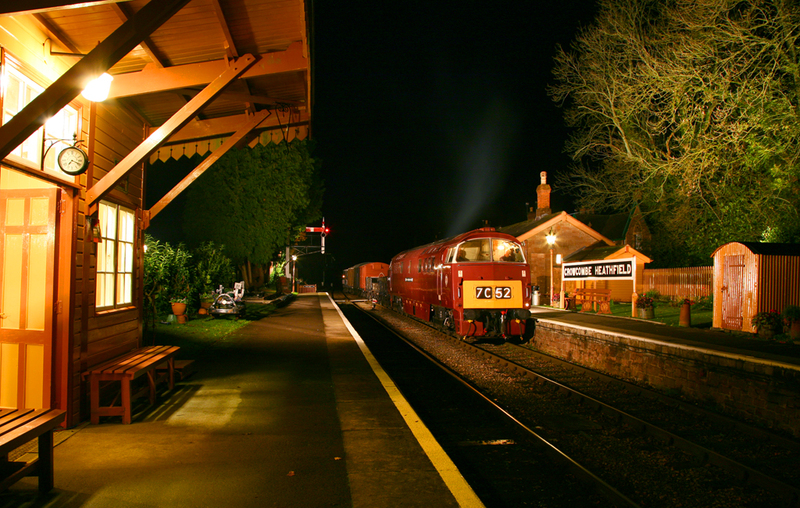 It's not often you can photograph at Crowcombe in the dead of night during November, but thanks to a joint EMPRS & David Williams photographic charter on the 12th November, Crowcombe Heathfield became the setting for the second diesel night shoot to be held on the line. 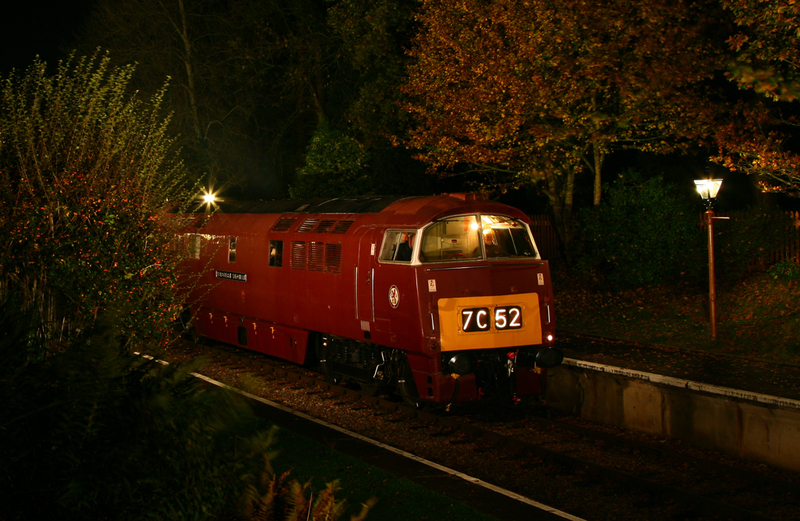 The Station was specially lit for an evenings photography, and used the DEPG Class 52 Western No.D1010 'Western Campaigner' (currently running as D1035 'Western Yeoman') and a rake of heritage wagons. 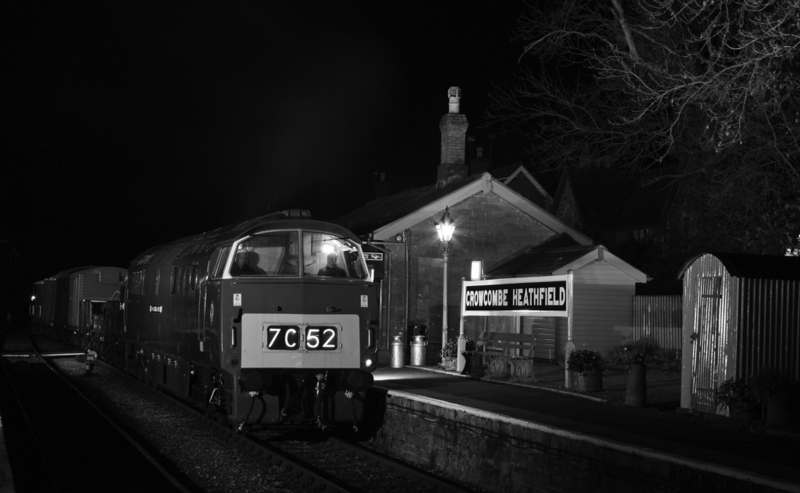 Photographers paid to attend the photographic evening which started at 18:00 end ended at 22:00. 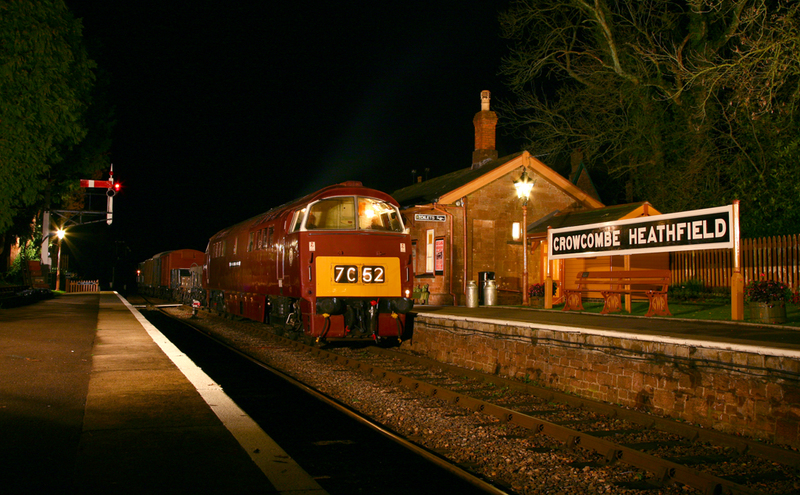 Various scenes were set up throughout the evening with refreshments provided from volunteers from Crowcombe Station. 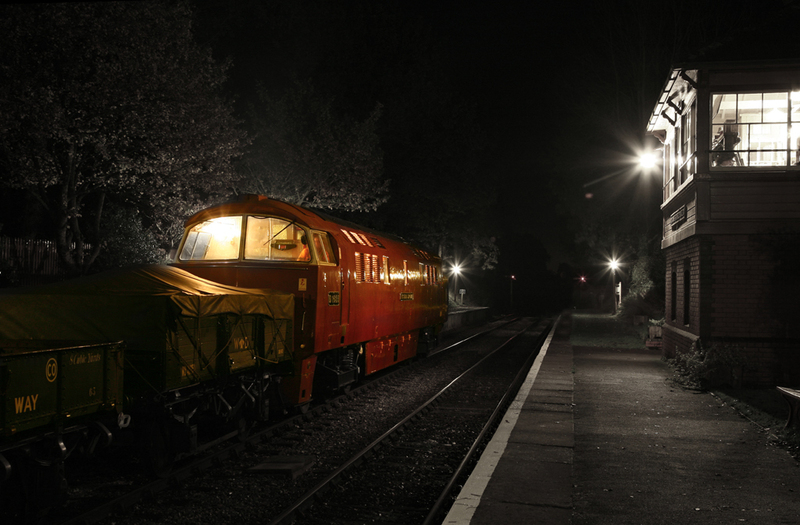 While a night shoot may provide the opportunity to improve your photography or experiment, combining it with imaging software can create some very interesting and 'different' results. 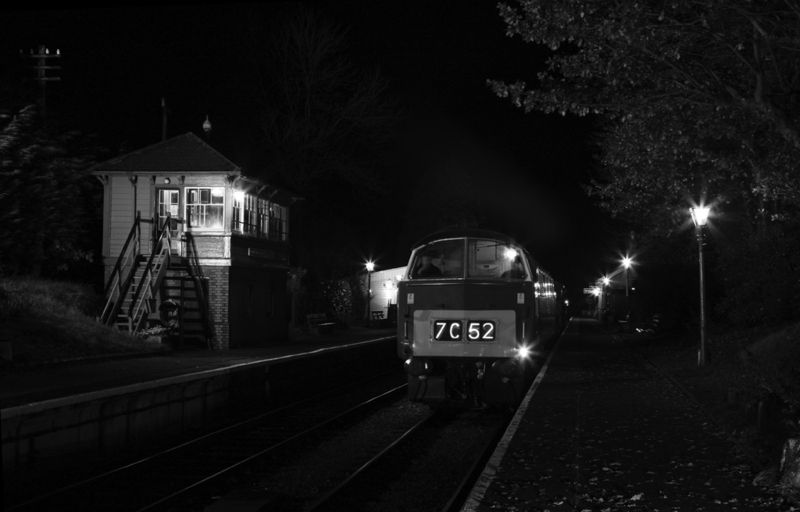 Two images below represent how original image files can be manipulated using software to provide a finished product which looks more like a work of art.